We are a leading Manufacturer of ms erw pipe for construction sites from Mumbai, India. Backed by the latest technology, we are offering the MS ERW Pipe for Construction Sites. Inclusive of carrying the fluid for various processes, the offered mild steel ERW pipes have a range of applications in petrochemical and allied industries. 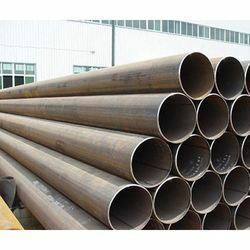 Manufactured using the quality assured mild steel, these pipes are known for their accurate dimensions and resistance to corrosion. Looking for MS ERW Pipe for Construction Sites ?